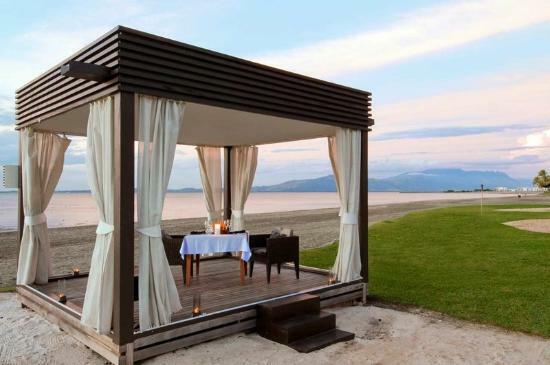 Need a convenient luxury option in Fiji? Explore the Hilton Hotels' brand in Fiji with it's Fiji Beach Resort & Spa complex suitable from solo to families. - Who does Hilton Fiji suit? 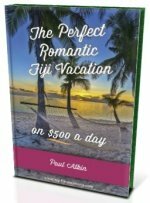 Who does Fiji Beach Resort & Spa suit? 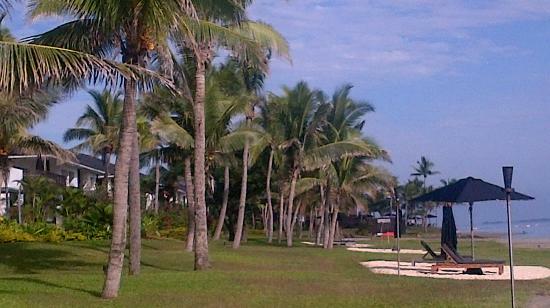 Hilton Hotels' Fiji Beach Resort & Spa suits those wanting a luxurious stay close to everything. 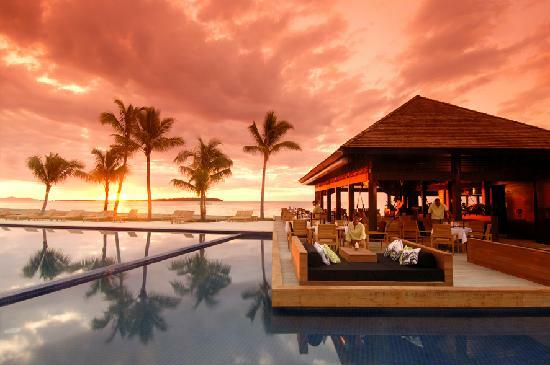 Hilton's Fiji Beach Resort is located on Denarau Island on the west coast of the main island of Viti Levu. Denarau is a private upmarket island connected to the mainland via a short bridge and is just 20 minutes from Nadi International Airport. Once arriving, it's an easy 20-minute taxi ride (FJ$30 for four people) to Hilton Resort on Denarau Island. 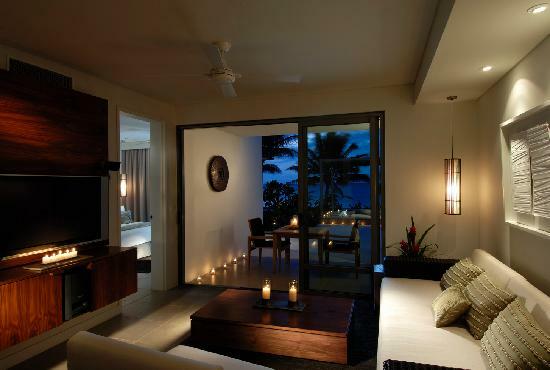 Fiji Beach Resort & Spa has 273 luxurious rooms ranging from garden view studio to 3-bedroom beachfront. You can expect the usual high standard renown with Hilton Hotels. One to note is the wonderful open plan style of the villas, providing plenty of space complemented with ocean views. 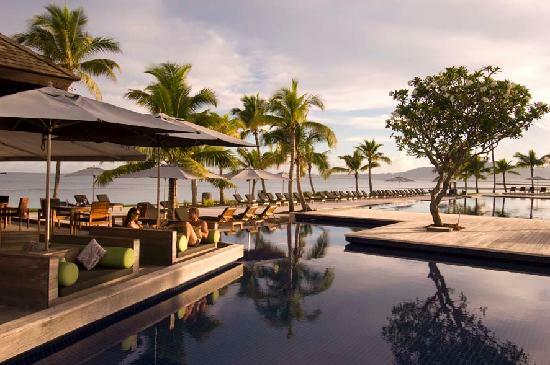 Fiji Hilton has 3 restaurants to choose from including the highly rated Nuku restaurant. 24-hour inroom dining is available. All rooms except studios have a BBQ so bbq packs can be arranged. A beachside romantic dinner on the beach, as shown below, is pretty hard to beat. Access to nearby luxurious resorts' restaurants are within walking distance. Just a tad bit farther is Port Denarau where you will fine a great selection of eateries and restaurants. Denarau's convenient location means access to off-site attraction's also. Start with our 5 Things to do around Nadi. Just a word of warning, don't expect any nice beaches. You need to go off the main island for that. Speaking about going off the main island, also at Port Denarau is Denarau Marina, where most of Fiji's cruises leave from. The port is so close, you could walk there. Visit our hub Cruise Fiji section for more. It just wouldn't be complete without a professional day spa service, which Fiji Beach Resort & Spa has. For extra pampering, receive your treatment poolside. Need to take a break from your kids? Then the resort's free kids club will certainly do the trick. Open from 9am - 5pm, the littlelees will be looked after with fun activities throughout the day. It's available up to 13 years of age, although under 4's need a nanny, either yourself or by hiring one. Another bonus, all children aged up to the age of 17 stay for free. Depending on the season, you could find rates almost as low as US/AU$200 per room per night. For more information on Hilton Hotel's option in Fiji, visit their site at http://www.fijibeachresortbyhilton.com.